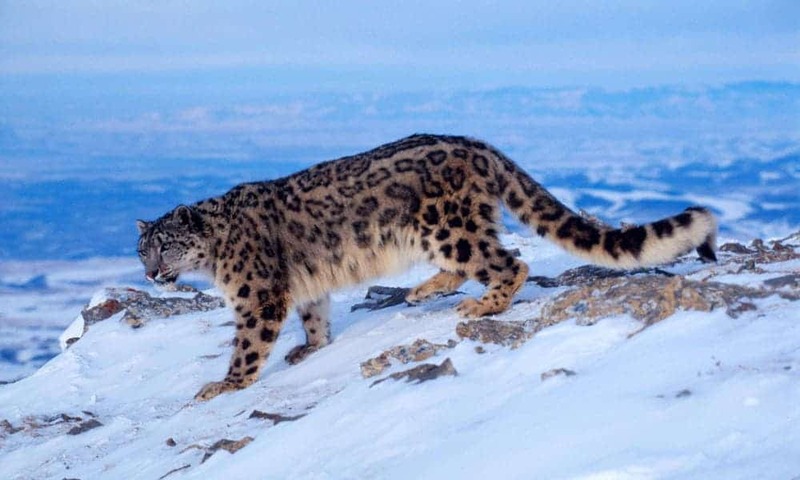 2015 is the year of the Snow Leopard, but what do we know about this magnificent hunter? Snow Leopards are some of the most magnificent creatures out there – living at elevations from 3,000 to 4,500 m (9,800 to 14,800 ft), they are reclusive animals that are rarely captured on camera. But these rare, beautiful grey leopards may go extinct before we get the chance to learn more about them – here’s why. The elegant snow leopard is one of the world’s most elusive cats. Sparsely distributed across 12 countries in central Asia, it inhabits alpine and subalpine areas, enjoying the high mountains of Central Asia. Their range spans from Afghanistan to Kazakhstan and Russia in the north to India and China in the east. 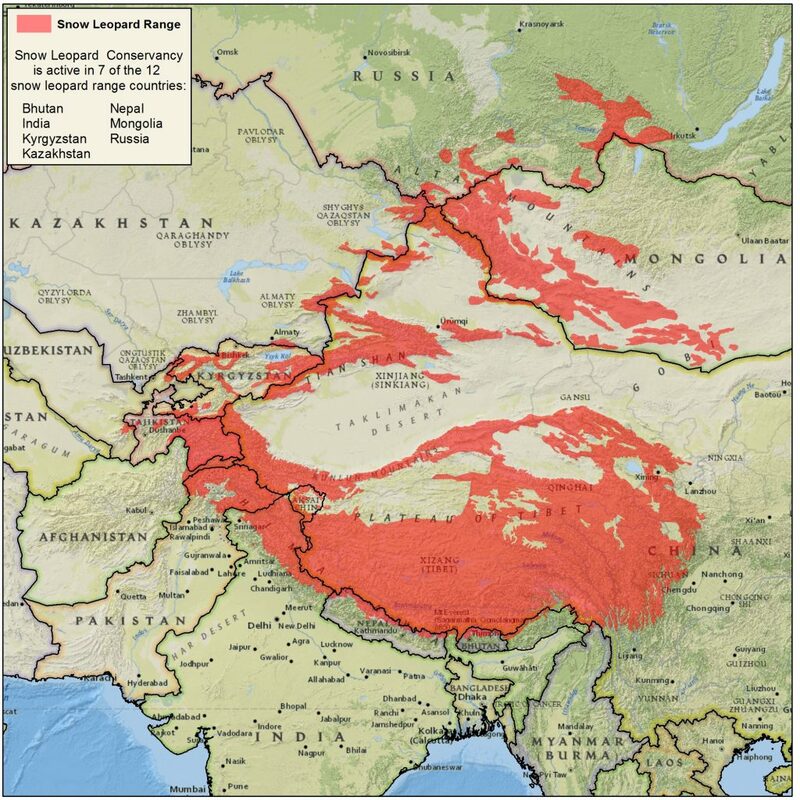 China contains 60% of their existing habitat, and they have already disappeared from some of their historical ranges (like Mongolia). They love jumping on and off cliffs and in fact, they are great jumpers, leaping as far as 50 feet (15 meters), using their tails for balance. They also use their tails as blankets to protect the more vulnerable parts of their body. For millennia, they’ve been the uncontested kings of the mountains, killing things up to three times bigger than them. One Indian snow leopard, protected and observed in a national park, is reported to have consumed five blue sheep, nine Tibetan woolly hares, twenty-five marmots, five domestic goats, one domestic sheep, and fifteen birds – in a single year! For an animal that typically weighs under 50 kgs, that’s quite remarkable. They are generally solitary creatures, except for mothers and their cubs, but unlike most predators, they’re not very territorial, and they rarely become aggressive when their territory is breached. Usually, they just avoid the transgressor. Snow leopards tend to mark along topographic features such as ridgelines or the base of cliffs. A habitat range may be as small as 12 km2 (5 sq mi) or as large as 40 km2 (15 sq mi). They are masters of camouflage and ambush, which is another reason why they’re so difficult to photograph. In fact, as they are active at dawn and dusk, snow leopards are rarely even seen in the wild. Snow leopards almost never attack humans – only two instances are known, one in 1940, and another in 2008. 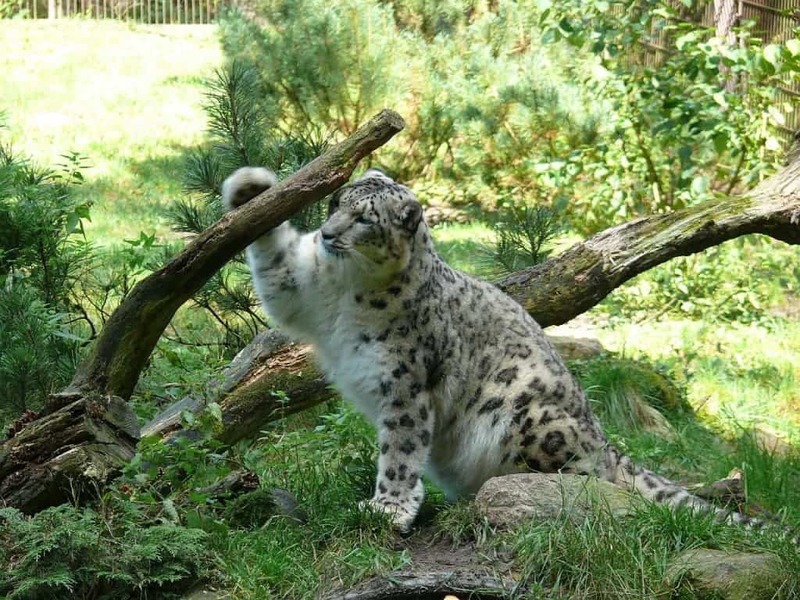 A 2008 Natural World episode, “Snow Leopard – Beyond the Myth”, interviewed a couple with a goat farm in Pakistan; the woman was bowled over by snow leopard escaping an enclosure where it had been feeding on the livestock, but she was not attacked by the cat, despite fainting and being helpless. Snow leopards cannot roar due to the physiology of their throat, and instead make a non-aggressive puffing sound called a ‘chuff’ – but that chuff sounds like a huge tractor is out to get you. 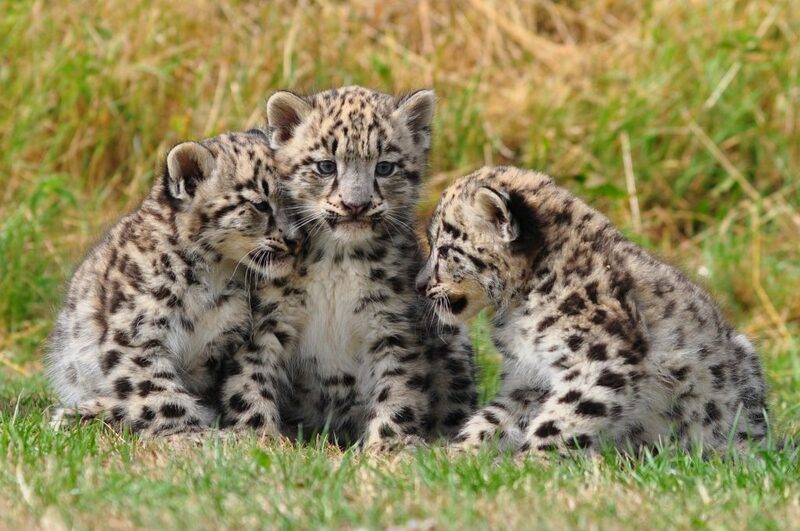 Image via Snow Leopard Conservancy. But snow leopards are starting to lose their status, their habitat, and their way of life, due to the most dangerous creature out there – humans. Expanding human settlements are reducing their habitats and global warming has caused the tree line to be increased in altitude, resulting in the decrease of wild prey that they depend on. Herders and poachers also hunt them down, although this is illegal. Because they are so secretive, it’s hard to know exactly how many snow leopards there are in the wild; one generally accepted estimate puts the figure at 2,500 adults that can reproduce in the wild, and that’s an extremely worrying figure. Another one claims there are 4,000 adults, which is not a dramatic improvement. In 1972, the International Union for Conservation of Nature (IUCN) placed the snow leopard on its Red List of Threatened Species as endangered, and not much has improved since, despite significant efforts. As it seems to be the case with many endangered mammals, they are believed to have healing properties in traditional Chinese medicine, so more and more people hunt them down to sell their bodies for huge prices on the black market. Their fur is also a valued commodity. Some progress has been done in captivity. The animals usually give birth to two to three cubs in a litter, but can give birth to up to seven in some cases, and captivity breeding programs have proven surprisingly successful – but this does little to help the population in the wild. Over the past 20 years, wild snow leopard numbers have declined by at least 20%, though an exact estimate is hard to obtain. There were also programs conducted with local farmers – who do have a point in saying that snow leopards sometimes hunt their livestock. The farmers are taught how to secure their barns and livestock holding areas against snow leopards and reimbursement programs have been set up to give the farmer fair market value for animals they have lost in return for allowing the snow leopards to live. It’s a win-win, but changing people’s minds is a tedious process. The WWF also has some healthy programs going on in the area, not only discussing and working with local communities, but also tackling wildlife trade. Since 1998, $7,000 have been paid out in compensation for lost animals, and $13,000 has been invested on improving livestock corrals and other infrastructure – a meager sum when it comes to protecting such an emblematic creature. Documentary footage of the snow leopard is scarce, as is photography. These remarkable creatures seem out of sight and out of mind, yet somehow we’re managing to destroy their population, directly or indirectly. But we can all play our small part and try to protect snow leopard. 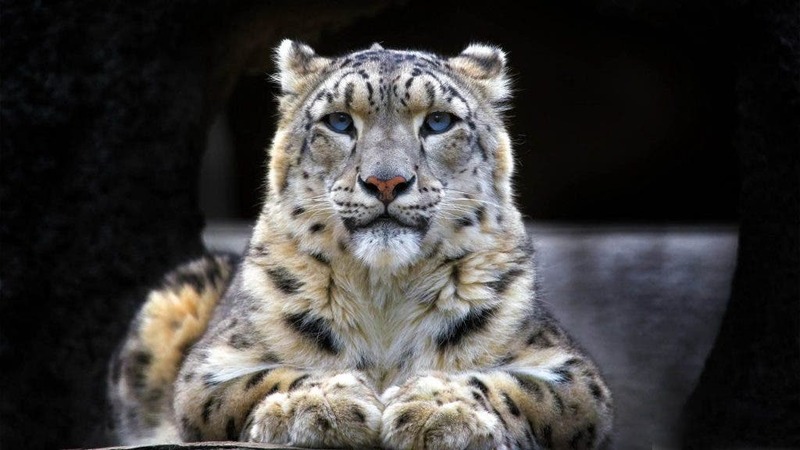 The simplest thing to do would be to donate – the Snow Leopard Conservancy and the Snow Leopard Trust are two organizations that accept contributions. You could also adopt a snow leopard (here, here or here) – you’ll get a cute plushie, some other gifts, as well as regular updates regarding snow leopard conservation. If you live in one of the areas inhabited by snow leopards, you could address your political representative and ask him or her to make a stand for protecting them. At the very least, you should be aware. By this point, we’re basically causing a widespread, major extinction, and most people don’t even realize it. We’re killing creatures like the beautiful snow leopard, and we don’t even know it – so stay informed! Share information as much as possible, accumulate as much information as possible, and speak up! Speak up for wildlife, and for the things that deserve protection. Who knows, it might make all the difference in the world one day.